Couldn’t resist having a crack Evolution Gaming’s new Jumbo 7 Jackpot side bet today, for a couple reasons. Firstly, it presented an opportunity to rack up some points in Unibet’s €30K live table tourney (the 10K poker portion that is). Secondly, I couldn’t help but notice the progressive jackpot sitting at a very auspicious value of $888 thousand. Not that I’m superstitious or anything, but having never witnessed a 7 card Straight Flush on a live casino hold’em table I figured I was going to need all the help I could get. For those unfamiliar, Evolution Gaming’s new Jumbo 7 Jackpot can be won by placing a side bet (of the same name) that has been introduced on their Live Casino Hold’em table…at a handful of casinos only. 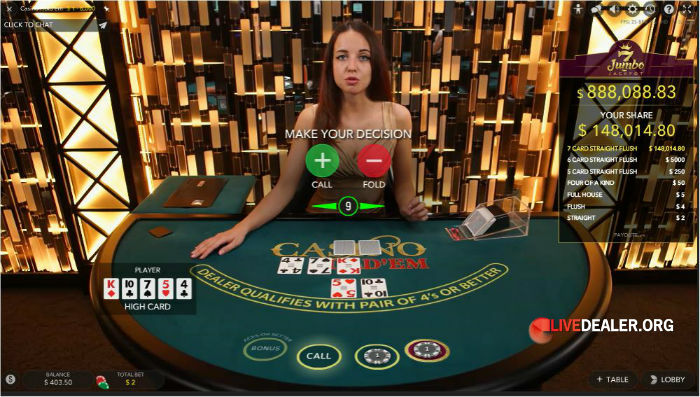 Presently Unibet and Leo Vegas offer this new jackpot bet on their hold’em table. If you place the Jumbo 7 Jackpot bet, and make a 7 card Straight Flush combining your pockets and the 5 community cards…then you share the jackpot with any others who placed the bet. It’s a big jackpot and being progressive, will continue to grow over time as player’s bets contribute to it. I didn’t win it, so it has sailed past $888,088.83. I did however manage a few flushes. An important consideration for the Jumbo 7 Jackpot is your playing currency. Some players will be playing this game and placing the Jumbo 7 side bet in US dollars; some in Euro, some in Pound Sterling. 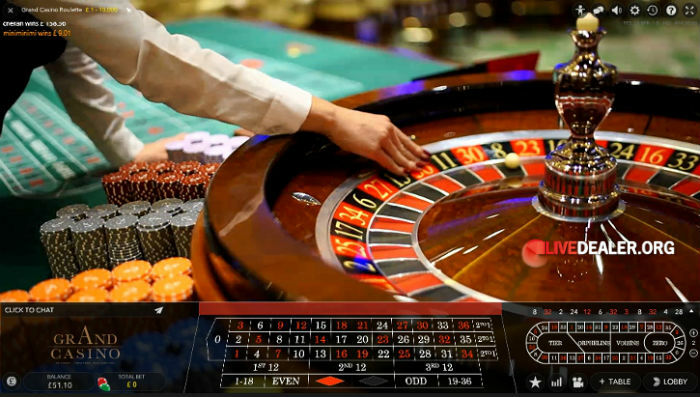 The numerical value for all players will be the same, that is 888,088.83 at the time pictured but the currency displayed for each player will depend on the currency of their casino playing account. Any win will also be denominated accordingly.